Heat a skillet (10" non-stick works best!) Add butter and melt. Mix or whisk together eggs and water until foamy and well-combined. Pour egg mixture into hot skillet and swirl around. With a spatula, dredge the omelet from the outer part of the pan inward, moving the pan around to distribute the egg. Let the omelet cook for a few seconds until it's no longer runny, and then add your favorite fixings. Fold the omelet in half. 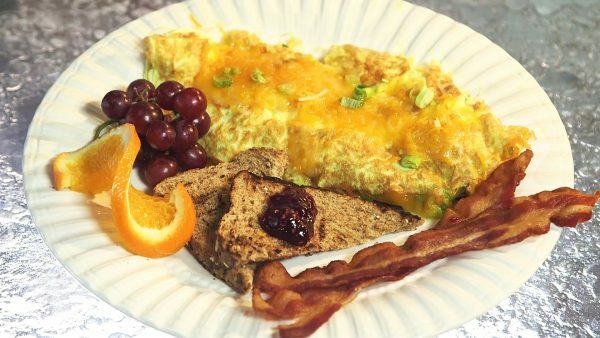 Flip the omelet over onto your plate. Top the omelet with more of your favorite fixings.